Fill up a glass of this luminous cedar coloured ale, topped with a vanilla-white foam collar. Indulge in the aroma of nutty fruitcake, black cherry, and a boozy note of ginger. Two sips later, gingerbread flavour gently sweeps through the body of the beer, followed by the heat of fruity plum. Mouthfeel is soft and smooth with a slight bite from carbonation. Clove and cinnamon drifts in for a dry finish. 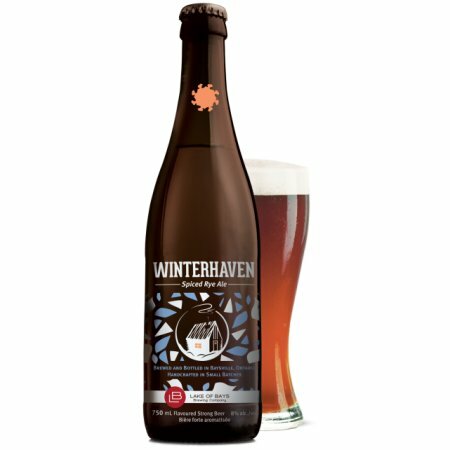 Winterhaven will be available from November to January in 750 ml bottles at LCBO outlets and the Lake of Bays retail store.